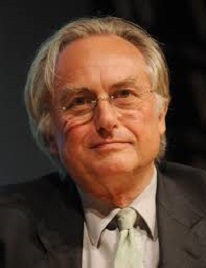 Is Richard Dawkins — Scientist, Biologist, and Atheist — Also a Man of Faith? Richard Dawkins was the final speaker at the Rise of Atheism conference in Melbourne, Australia, in March 2010. There were two questions I wanted to ask him. One was his take on the idea of a “God gene.” He implied his answer in his talk (negative). Partial adaptation to an aquatic environment can also account for two other major divergences from our cousins, the apes: walking and running on two legs instead of four; and sweating copious amounts of water and salt (instead of an oily substance) from a set of glands totally different from those used for cooling by other mammals. And we have no built-in impulse to find a salt-lick when we’re running short. Finally, a semi-aquatic or coastal environment is (as we’ll see below) the environment most conducive to the growth of an enormous, energy-intensive brain. The location of the three oldest fossils of our hominid ancestors—”Lucy,” 3.2 million years old, “Kadanuumuu,” 3.6 million years old (both Australopithecus afarensis and bipedal), and “Ardi,” 4.4 million years old (Ardipithecus ramidus; partially bipedal, possibly the “missing link”)—point to the most likely place this could have happened. The Danakil/Afar region of north-eastern Ethiopia, at the northern end of the Rift Valley. Today, the Afar Depression, an area of extreme volcanic activity close to the Red Sea, some 120 feet below sea level and one of the hottest places on earth, is a salt deposit thousands of feet deep. Some 7 million years ago, the sea poured into Afar, turning it into a salty inland sea, like the Dead Sea, which eventually dried up. A fate that probably awaits the Dead Sea as well. One hypothesis that accounts for the evolution of a new and different species is known as “geographic isolation”: when a small group is cut off from others of its species in a different environment it becomes a case of adapt or die. Such divergences are common—and the usual dividing factor is water. For example, bonobo monkeys live north of the Congo river, while their chimp cousins are confined to the south. But homo sapiens is another story. Dawkins answered my question about the Aquatic Ape Hypothesis (AAH) by saying that he’d met Elaine Morgan (who has written several books popularizing and expanding on the AAH, see in particular The Aquatic Ape Hypothesis) and she was an advocate of the theory, acting like a lawyer rather than a scientist. The same accusation theists make about Dawkins himself! And, he said, she completely ignored the other explanations. “What are the other explanations?” I asked him. In other words, Dawkins attacked the messenger, not the message. Behavior as unscientific as the attitude he was attributing to Elaine Morgan. What’s more, Dawkins was just plain wrong. Elaine Morgan does address the other explanations—and convincingly demolishes them. Expecting to be inspired by meeting the great Richard Dawkins, I came away very disappointed indeed. Dawkins’ reaction, sad to say, is hardly uncommon. The Aquatic Ape Hypothesis was popularized by Elaine Morgan, but developed by Alister Hardy who announced it in 1960 in the New Scientist in an article entitled Was Man More Aquatic in the Past? But Hardy had actually developed the idea some thirty years earlier! Why did he wait so long before publishing? He knew his radical idea would be met with skepticism, if not ridicule from the scientific establishment, upsetting his chance of becoming a Fellow of the Royal Society. Today, more than eighty years later, nothing much has changed! By pure coincidence, a few days later I saw the March 2010 issue of Scientific American, which included an article titled The Naked Truth. The author’s fundamental claim: that hairlessness evolved as a more efficient way of keeping cool in the hot, savannah environment. A related factor: our sweat is watery and salty, produced by two to five million eccrine glands. So we sweat a lot more than other mammals, which also helps keep us cooler. Through those pores that get blackheads, a problem most other mammals don’t have: their sweat is an oily substance produced by sebaceous and/or apocrine glands at the base of their hair follicles. Two serious problems (of several) the author completely ignores: what caused this dramatic change in our ancestors’ cooling mechanism from oily to watery sweat produced by a completely different set of glands? And related: we can sweat up to 12 liters of water a day, along with lots of salt. A decided disadvantage on the savannah where the next drink, not to mention the nearest salt lick, may be a long way off. Other mammals conserve water and salt—and also know when they need to find a salt lick. We don’t. There’s only one environment where you don’t need to conserve water and salt—and, indeed, where you may need to get rid of excess salt: by the sea shore or the shores of a lake like the Dead Sea where salt accumulates. Having dense hair on the head creates a barrier layer of air between the sweating scalp and the hot surface of the hair. Thus on a hot, sunny day the hair absorbs the heat allowing sweat on the scalp to evaporate into that layer of air. Well, if hair helps keep the head (and brain) cool, why not on the rest of the body? My own experiences prove conclusively (at least, to me) that hair keeps you cooler—and warmer. When I was at university, I had, aside from a beard and long hair, a once-a-week, pretty much all-night job delivering a free weekly newspaper around the suburbs of Canberra. This involved taking turns with my partner between driving, and then sitting in the back of a small truck for hours at a time, chucking newspapers left and right—while totally exposed to the elements. Canberra’s winter nights are freezing, with a thick frost nearly every morning; we kept warm with multiple sweaters, scarves, balaclavas, even long underwear—topped off by a jacket with a hood. One winter, I shaved off my beard. Boy, was that a mistake! The next “night out” my chin was a block of ice. A balaclava, two scarves wrapped around my chin, plus a heavy jacket pulled halfway up my face made no difference whatsoever. Only after a couple of weeks had my chin “acclimatized” to the lack of hair. Hair on your face keeping your chin warm seems logical. Indeed, there’s nothing controversial about that proposition. But how can hair also keep you cool? One summer I shaved again. Another mistake. In 35 degree heat (880F) my face dripped with sweat. Beards act like an air conditioner: the sweat runs off the skin onto the hair; the breeze cools it and your face as well. While convincing myself, my experiences are hardly statistically valid tests. But there is a simple experiment you can try at home. If you have a pet take its temperature. Then, shave off all its fur. It might freeze to death if it’s winter, but if it’s the height of summer, especially in tropical climates, its body temperature will go up (which might also threaten its life). The idea that hairlessness is a “more efficient way of keeping cool” has no scientific foundation. Hair, on the savannah, is an evolutionary advantage; hairlessness is decidedly not. And if we look at what mammals actually do on those hot and humid afternoons there’s not much difference in their behavior: they pretty much all take a siesta in the shade, regardless of their cooling mechanism. If hairlessness is such a great advantage, how come we’re the only mammals wandering around completely naked (with our heads up in the air)? How come nearly all the other mammals which inhabit the Savannah—lions, tigers, rats, sheep, wildebeests, zebras, et. al.—have hair? While the only “naked mammals” are elephants, rhinoceroses, and hippopotami, whose ancestors also went through an aquatic phase? The author avoided addressing that question for the simple reason that the “Savannah-Woodlands Hypothesis” doesn’t have any mechanism, let alone a convincing one, to explain our hairlessness. Indeed, in its original form it simply stated that some apes came down from the trees and moved to the savannah and became naked, upright apes—somehow. In passing, as you might expect, the author took plenty of potshots at the Aquatic Ape Hypothesis—or, rather, set up a straw man, totally misrepresenting the Hypothesis, making it easy to shoot down. And this publication dares to call itself the Scientific American? The AAH also explains one of the two most unusual features of homo sapiens: bipedalism. How many other species walk on two legs all the time? Chimps, you might think? Occasionally. But never when push comes to shove: when they have to run like hell to get to a tree before the lion gets to them, they’re four-legged all the way. Excluding kangaroos and others which hop rather than walk, there are only two other semi-bipedal mammals on the face of the earth: proboscis monkeys and bonobo monkeys. And where these two species live? In swamps! A million or two years spent living in and wading around water is long enough to cause such an adaptation. So yes, our distant ancestors including homo habilis and homo erectus did flourish bipedally on the African savannah. As their ancestors were already bipedal, it was survive or die. A couple of months later a friend lent me a fascinating book titled Survival of the Fattest: the Key to Human Brain Evolution, by Stephen C. Cunnane. His “Shore-Based Scenario” makes the Aquatic Ape Hypothesis even more likely. It also offers the most logical explanation for homo sapiens’ second unique feature: our enormous brain. As the subtitle portends, Cunnane’s focus is how the human brain evolved. In the first half of the book he outlines the many ways in which the human brain is dramatically different from those of other apes, and the various nutritional requirements that make the growth of our large brain possible. To begin with, human babies are born fat (unlike baby apes)—and put on more fat in the first few years of life (assuming adequate nutrition). This fat—which is different in its makeup from adult fat—is, Cunnane shows, fuel for the growing brain. The need for such an energy source is simple to understand when you realize that growing the brain consumes an incredible 74% of a newborn baby’s energy consumption. Secondly, an adequate supply of iodine (the most important of a number of nutrients including iron, copper, zinc, selenium—and docosahexaenoic acid, found mainly in marine organisms) is essential for normal brain development. Babies whose diets lack enough iodine have lower IQs as adults than properly nourished babies. And adults who lack iodine suffer from goiter, two major reasons why iodine is added to salt. One way to become a cretin is to grow up with insufficient amounts of these essential brain-expanding nutrients. Indeed, up till the 1920s, before iodine was added to salt, cretinism was widespread in the United States and Europe. Cunnane estimates that even today a billion or more people suffer from iodine deficiency—and the resultant lower IQ. In summary, fatness in babies plus iodine and other nutrients are essential prerequisites for a fully developed brain. And since most of that brain growth happens between conception and the age of five, any baby born in an iodine-deficient environment will become an adult with a less-than-fully-developed brain. In an environment conducive to the survival of helpless babies (in other words: without too many hungry carnivores)? The most iodine-rich foods are shellfish, eggs, and fish, in that order. Shellfish and fish are easily found along shorelines. And you don’t have to run across the savannah chasing lunch—while beating off lions, tigers, hyenas and other carnivores which are all a helluva lot better at catching up with antelopes and the like than you and I are. What’s more, they prefer drinking fresh water, so a salt-water environment doesn’t interest them—though you’ve got to watch out for the crocodiles. If you’re living on the savannah there’s only one of those three “all-in-one” sources of brain-enhancing foods readily available. Eggs. Which aren’t conveniently lying around on the sea shore. Why did our ancestors brains get bigger? And then there’s the question: why and how did our ancestors’ brains start growing? In retrospect, the evolutionary advantages are obvious. Thanks to our oversized brain, homo sapiens dominates the planet Earth. Cunnane’s “Shore-Based Hypothesis” implies that our ancestors’ brain growth was (with hindsight) a fortuitous accident, fueled by the abundance of brain-growing nutrients readily at hand on shore lines. The available evidence, patchy as it is, points in the direction of the Aquatic Ape/Shore-Based Hypotheses. Here, and only here, do we find a logical outline of a mechanism that could result, by evolution, for the many, highly significant differences between us and our immediate cousins: the other apes. No proponent of the “Savannah-Woodlands/Mosaic Hypothesis” has ever outlined a convincing mechanism to account for all of these changes. This is not to say the Aquatic Ape Hypothesis is right. The fossil evidence, for example, is circumstantial. But then the same thing can be said about the “Savannah-Woodlands Hypothesis.” There is simply no fossil evidence anywhere to account for our hairlessness, to cite just one example. But which hypothesis is right (or righter) is not the main point. What’s sad to realize is that so many scientists—including Richard Dawkins, author of that wonderful book, The Selfish Gene—ignore the hypothesis with greater explanatory powers, or attack its deficiencies while clinging to a theory that has even more holes in it than the AAH. The aquatic “theory” is perhaps one of the all-time worst explanations. No primates collect food in the water, while most avoid being in water at all costs. If this were a good explanation, then we should have lost our limbs like the whales, which evolved from quadrupeds. Furthermore, African lakes and rivers are dangerous places occupied by hippopotami, which kill more humans each year in Africa than any other animal, as well as snakes, crocodiles, giant otters, and other dangerous creatures. The aquatic “theory” is perhaps one of the all-time worst explanations [to paraphrase Winston Churchill, like democracy, it’s the worst one—except for all the others]. No [other!!!] primates collect food in the water [except homo sapiens], while most avoid being in water at all costs [except homo sapiens]. If this were a good explanation, then we should have lost our limbs like the whales, which evolved from quadrupeds [which, according to the AAH, we would have . . . if the Afar Depression had never dried up]. Furthermore, African lakes and rivers are dangerous places occupied by hippopotami, which kill more humans each year in Africa than any other animal [but only if you’re the only ape who likes hanging around the water], as well as snakes, crocodiles, giant otters, and other dangerous creatures [unlike the Savannah, of course, where there are only lions, tigers, elephants, cheetahs, leopards, hyenas, vultures, not to mention all those angry herbivore bulls with very sharp horns]. The Hypothesis was publicized by Elaine Morgan, who previously wrote television dramas for the BBC. She was definitely not part of the scientific establishment: her University degree was in English, for heaven’s sake! Alister Hardy’s initial article proposing the idea, Was Man More Aquatic in the Past?, was published in the New Scientist. As this is not a peer-reviewed publication, it could be and was dismissed as (at best) inconsequential or (at worst) laughable by the scientific establishment. In sum, the failure to attack the Savannah-Woodlands/Mosaic Hypothesis with the same vigor its proponents spend on the AAH indicates unscientific behavior from scientists with closed rather than open minds on this subject. I believe that our ancestors, pre-Lucy, became upright in the protection of the forests, a familiar environment in which they faced fewer dangers. “I believe . . .” is not a scientific statement. That is, on faith, not reason. Does Your Vote Ever Count?Is Diplomatic Immunity a Violation of Individual Rights?